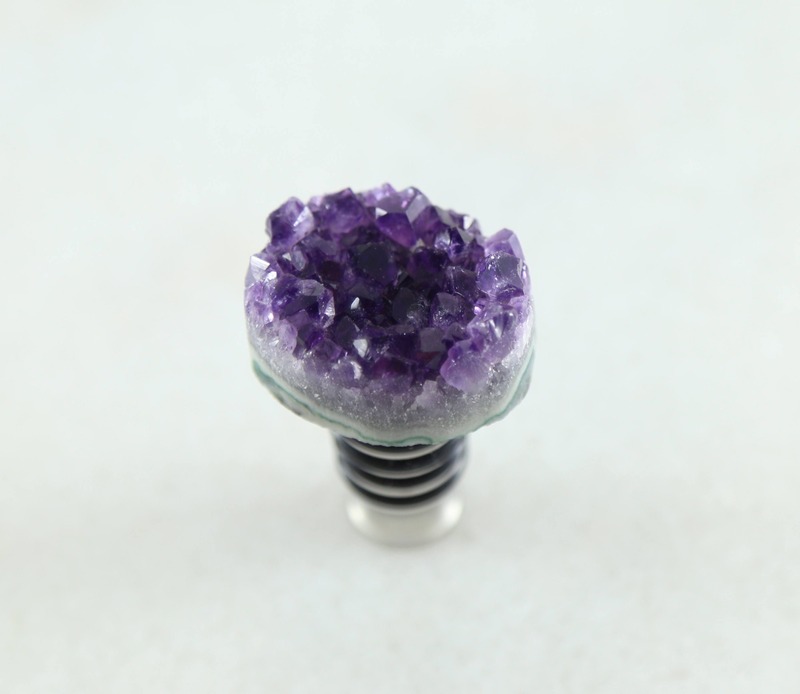 SDE's wine stoppers are crowned with beautiful, jewelry-grade gemstones that are professionally cleaned with a cutting-edge polishing technique to achieve a high-end, yet natural aesthetic. These wine stoppers have a dual purpose--they stand up on their own and double as decorations. Collect a few and display them on a shelf in your bookcase. 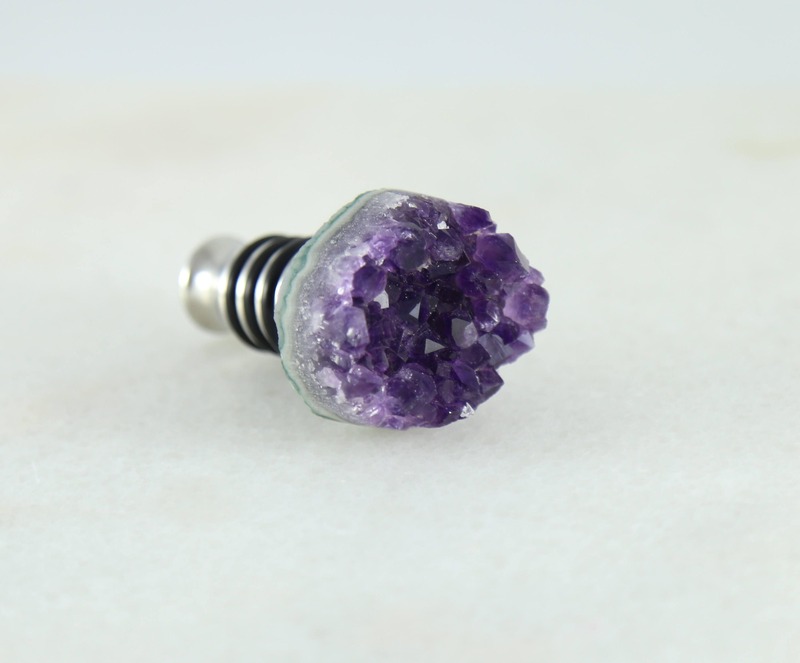 SDE's wine stoppers are made with winery and FDA grade kitchen grade STAINLESS STEEL so you never have to worry about leeching metals and plastic. 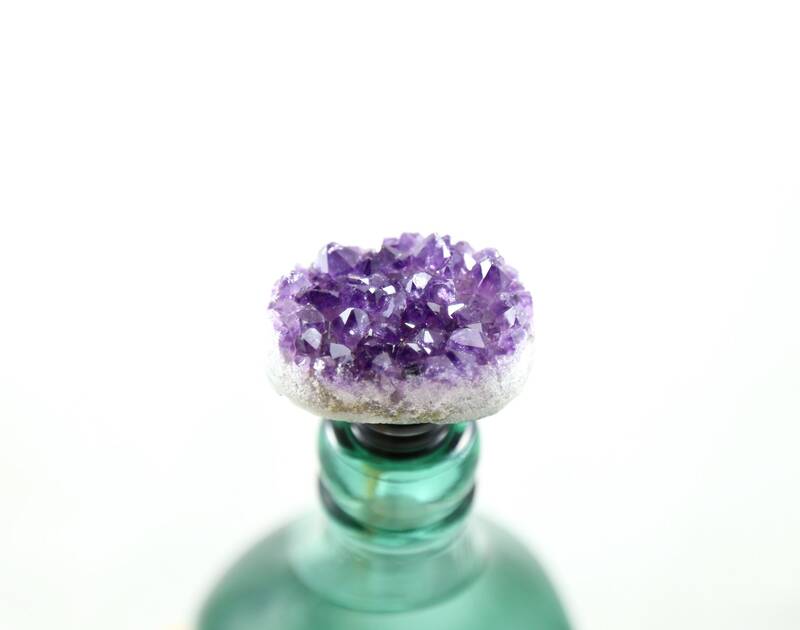 You can use these stoppers on mostly all bottles: wine, olive oil, balsamic vinegar and liquor bottles. These wine stoppers are the perfect gift for a hostess, wedding favor, bridal shower favor, or for that person who has everything. ♢Packaged in a gift box. ♢Please inquire about high quantity or custom orders! Great communication, super fast shipping. Item was very well made. Very satisfied!